The first game to make use of the NFC capabilities in the Nintendo Wii U is to launch in Japan on 24 April. The new Pokemon Rumble U Pokemon Scramble U game will work with a series of figures equipped with NFC, including main character Pikachu, that will be available to purchase separately. These characters can then be added into the game via the NFC interface on the Wii U GamePad controller. 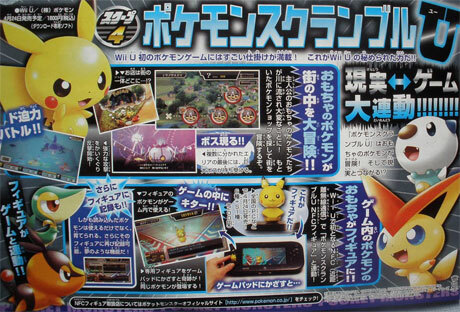 “The figures are trainable and you can record your battle information on them,” Serebii.net reports, citing the new issue of Manga comic CoroCoro. Six standard figures and one “special” figure will be available at launch for ¥200 (US$2.09) each.